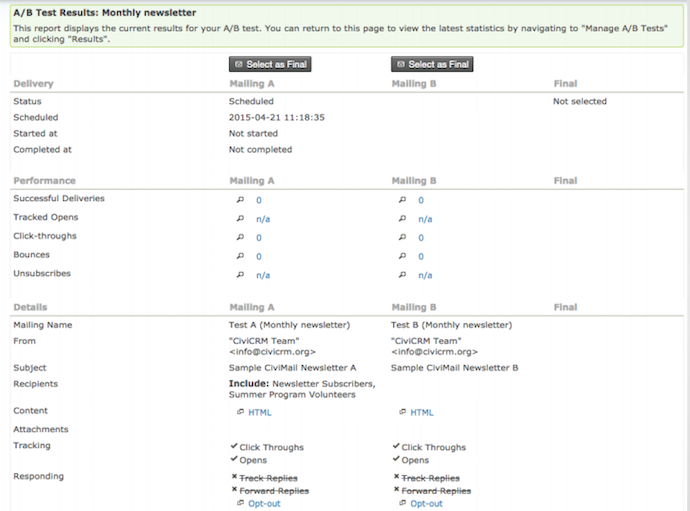 CiviMail A/B Testing allows you to send two test e-mails to two random samples of your recipients. After the test mailings are complete, you can choose to send the more successful mailing, based on the metrics available, to your remaining recipients. This chapter looks at the type of testing available and how to configure a new test.